Indiana Conservation Officers are investigating a fatal ATV accident that occurred in Crawford County Tuesday evening. Clinton Neal (34) of Marengo, died after crashing his ATV on Ross Road, outside of Marengo. 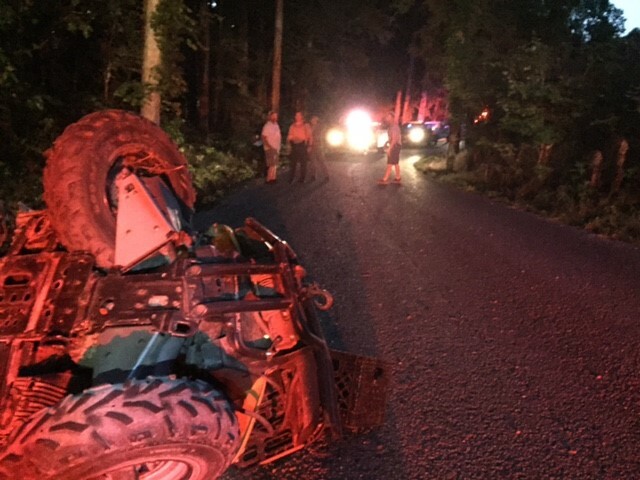 Neal was riding a Polaris ATV with a friend at approximately 8:30 p.m., when he lost control, drove into a ditch and flipped the ATV. Neal was not wearing a helmet and was ejected and struck a tree. Alcohol and excessive speed are believed to have been contributing factors; Toxicology results are pending. The incident remains under investigation by Indiana Conservation Officers. Assisting agencies at the scene included the Crawford County Sheriff’s Department, Marengo Fire Department, Crawford County EMS, and the Crawford County Coroner’s Office. Indiana Conservation Officers strongly encourage riders to always wear a helmet and necessary safety equipment when operating an ATV.